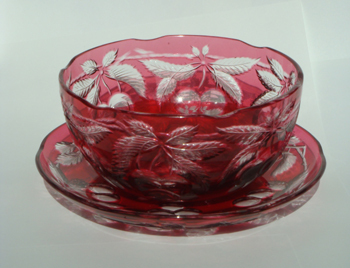 two colours finely cut to clear with motifs of graduated stars and roundels, Stourbridge, c.1875, dish 7 3/4in (19cm) diam approx. 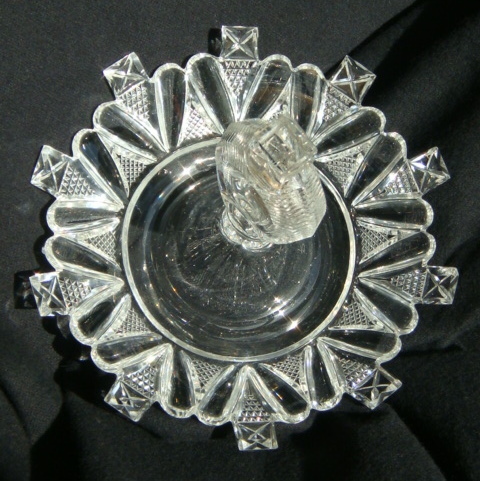 the deeply cut crystal made for the coronation of Edward GVII, dated 1902 and with ER cypher, the cover knop containing a sovereign coin dated 1902, 12 1/2in high approx. 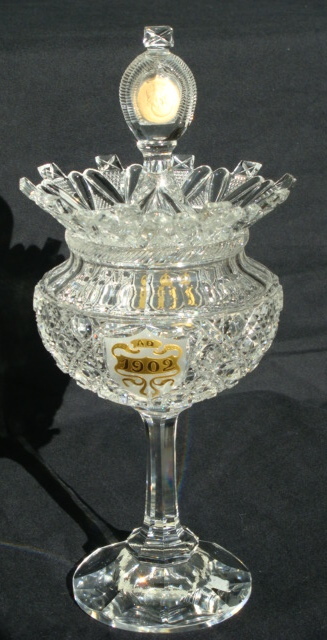 Detail of the gilding on the commemorative goblet. 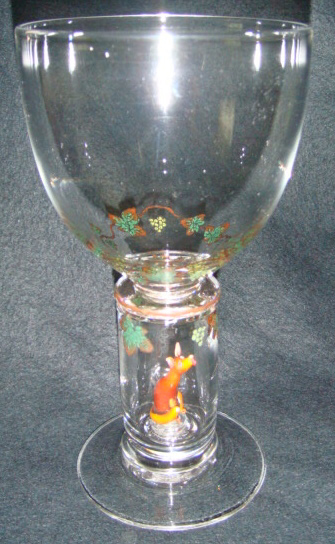 Detail of the design of the cover of the commemorative goblet. 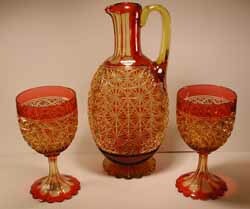 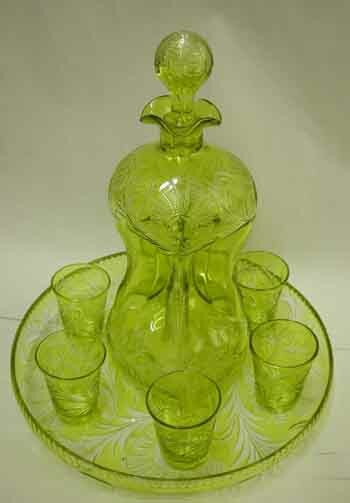 comprisiing decanter and stopper, six glasses and a tray, c.1890, height of decanter 8in (20cm). 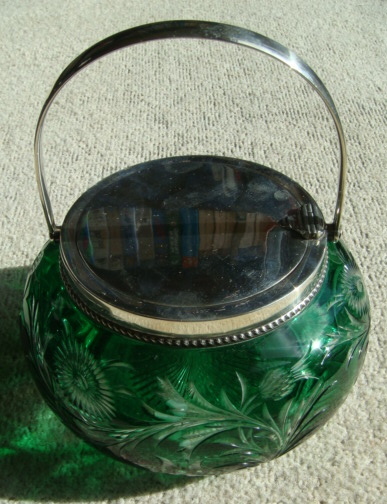 the body wrythen moulded, the neck mounted in silver below a repousse ball stopper of conforming pattern, c.1888, 5 3/4in (14cm) high. 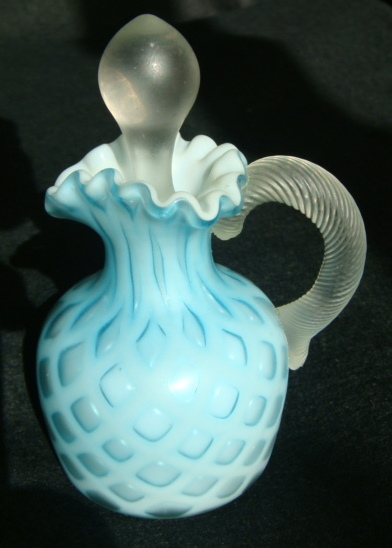 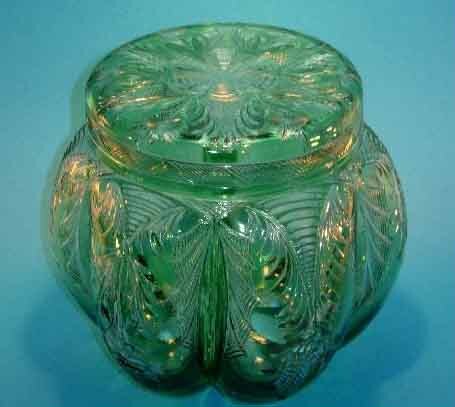 the green glass body intagio cut to clear, c.1890, 5in (12.5cm) approx. 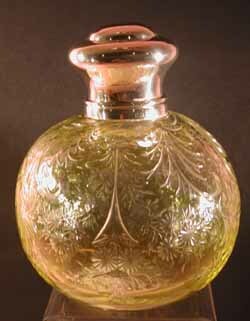 the melon form body intagio gut from green to clear, c.1890, 4 in high approx. 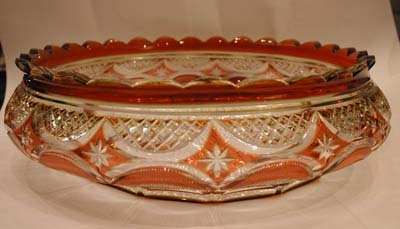 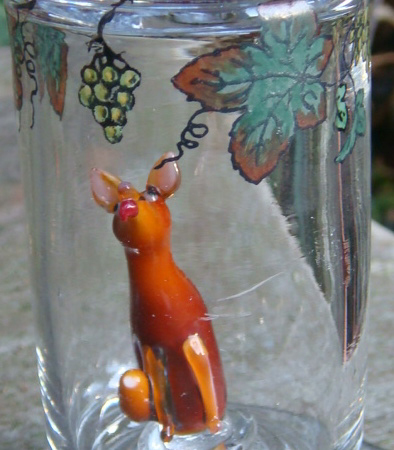 orange/red intaglio cut to clear, c.1900, 11cm.